SUZUKA: Lewis Hamilton timed his run to perfection in changing conditions to take a record-extending 80th pole position at the Japanese Grand Prix on Saturday while Ferrari rival Sebastian Vettel qualified only ninth. The Mercedes driver pumped in a one minute 27.760 second lap on the super-soft tyres while it was still only spitting with rain. Teammate Valtteri Bottas, who beat Hamilton to pole at the last race in Russia, guaranteed Mercedes a second successive front row lockout with a lap 0.299 seconds off the 33-year-old Briton’s pace. Ferrari meanwhile made the wrong tyre choice and were then caught out when the rain then came down more heavily, preventing anyone from improving on their times. “It’s so difficult when the pressure is on to make the right call but that’s the big difference between us this year and that’s why we’re the best and the team deserve it,” said Hamilton. Vettel and Ferrari had failed to match Hamilton’s pace all weekend, with the championship leader completing a clean sweep of practice. 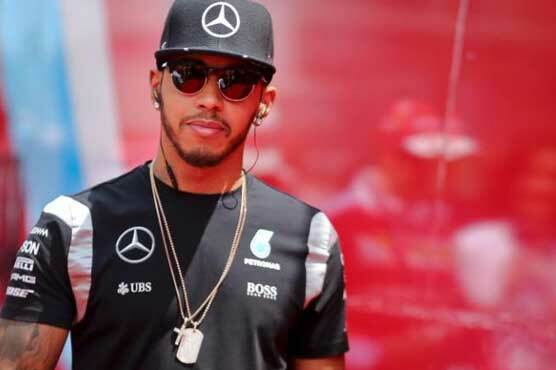 The German, who trails fellow four times champion Hamilton by 50 points with five races remaining, needs a miracle to reignite his Formula One title hopes after his worst qualifying of the season. Second and third in the first two parts of the session, Vettel was caught out by Ferrari’s decision to fit their cars with intermediate tyres during the final phase instead of slicks. But with the track still bone dry, the German and team-mate Kimi Raikkonen had to come straight back in to fit the super-soft tyres. Vettel ran wide on his first attempt on dry tyres, leaving him only one shot at a flying lap. The rain then came before he could set a competitive time. “It’s not the position we deserve to be in, we have better speed than ninth, but tomorrow is a new day. It’s not easy when you start further back but it’s not impossible,” said the unhappy German.